Cam Newton said on Wednesday that he was playing the best football of his career. After throwing only seven interceptions through his first 11 games of the season, Newton threw two interceptions in the first half, both of which resulted in points for the Buccaneers and four overall for the first time since his rookie season as the Panthers went into halftime down 17-7 and never recovered to lose 24-17 to the Tampa Bay Buccaneers in Tampa, their fourth consecutive loss that sent them to 6-6 on the season. Tampa moved to 5-7 with their second straight win. The Bucs came into the game with only three interceptions in their previous 11 games – undrafted free agent safety Andrew Adams, who hadn’t started for Tampa Bay this season in any games, had three of his own – tripling his career total. 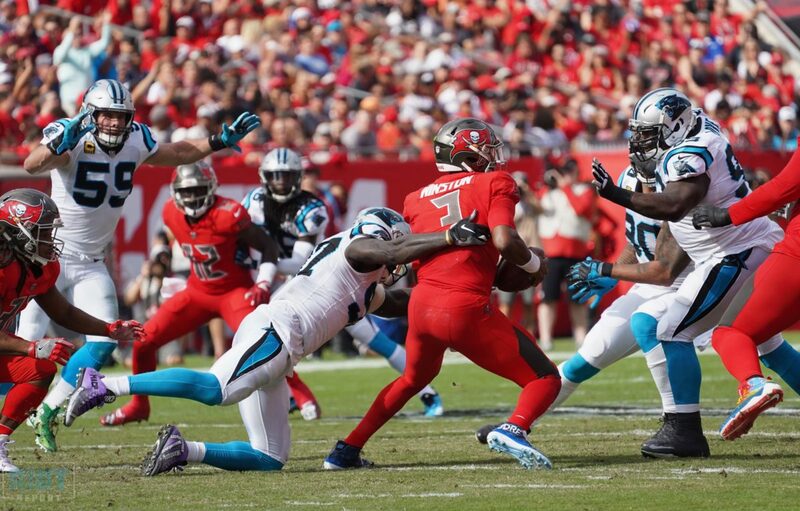 The first interception came on the Panthers third offensive play of the game as they tried to answer a Bucs opening drive that went 75 yards in 11 plays and featured a mix of running – Peyton Barber had four carries for 22 yards on the first drive and finished with 45 yards on 15 carries overall, while Jameis Winston added an 18-yard scramble to put them inside the 10-yard line. Winston then found slot receiver Adam Humphries for the three-yard touchdown to put the Bucs up 7-0 with 9:53 left in the first quarter. Humphries, who torched the Panthers out of the slot in their Week 9 matchup for eight catches on eight targets, finished with seven catches for 61 yards and a touchdown. The Panthers offense then started as poorly as the defense as a second-down sack set up a third-and-long that resulted in an Adams interception over the middle that was returned to the Bucs 20-yard line; the pass bounced off rookie wideout DJ Moore and directly into Adams’ hands as Moore ran across the middle. The Panthers defense would stiffen in the quick-change situation and hold the Bucs to a 35-yard Cairo Santos field goal. That was when Christian McCaffrey would flex his muscles. A week removed from breaking the century mark for both receiving and rushing yards in the Panthers loss to the Seahawks, McCaffrey would burst through the middle for a 53-yard scamper before being chased down at the eight-yard line by safety Justin Evans. 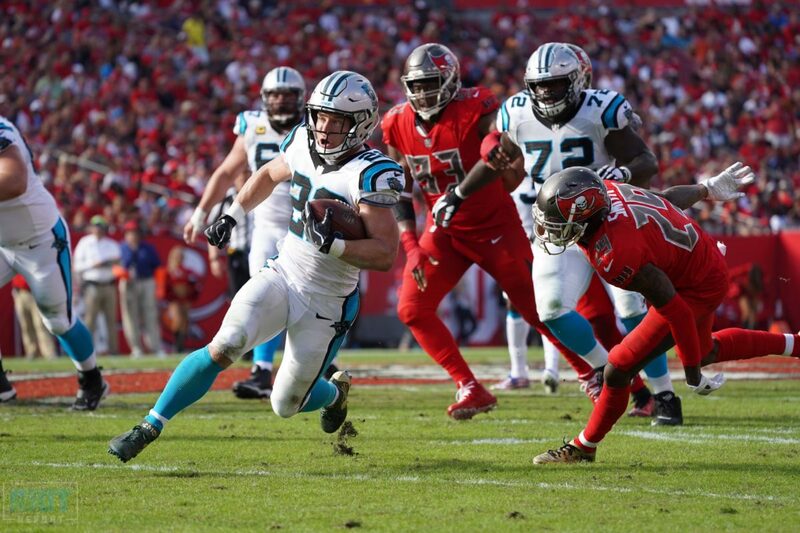 Just as he did last week, McCaffrey stayed in the game – he’s leading the league in playtime percentage in terms of running backs, after all – to catch an eight-yard touchdown to cut the Bucs lead to 10-7. McCaffrey, who is on pace to shatter the Panthers yards-for-scrimmage record on the season, finished with 161 total yards on only 19 touches. The Panthers, who hadn’t forced a turnover since their Week 9 victory over the Bucs, broke that streak with a huge fumble recovery by Luke Kuechly near the goalline as the Bucs appeared to be heading in for another touchdown – Peyton Barber looked as if he may have already been down, but the replay officials confirmed the call and the Panthers took over at their own 20. After being one of the best teams in the NFL during the Newton/Rivera era in the final two minutes of halves, the Panthers would turn what appeared to be a promising situation into more points for Tampa Bay. Javien Elliott jumped an out route by DJ Moore – both targets for Moore in the first half resulted in interceptions – and returned the ball to the Carolina 32. Six plays later, Winston would find Chris Godwin in the right corner of the end zone after escaping the pocket for a score to send the Bucs into the half up two scores. Winston would finish the first half 12-for-16 for 160 yards and two touchdowns, vastly outplaying his #1 overall pick counterpart as Cam Newton would finish the half 6-for-10 for only 54 yards, the touchdown to McCaffrey and two interceptions. The Panthers came into Week 13 allowing teams to convert on 39.84% of their third down attempts, but it was third down that hurt them throughout the day – the Panthers allowed the Bucs, who came in as the second-best team in the league on third down, to convert six of their first nine attempts, including four of third-and-7 or longer, before stiffening to stop them on their final four attempts. Both of Jameis Winston’s touchdown passes came on third down.  With the Panthers down 24-10 after a dubious pass interference call on Donte Jackson in the end zone set up a one-yard Peyton Barber plunge, Newton went to work, putting together a beautifully executed 10-play, 92-yard drive that featured touches by six different offensive weapons and finished with a 10-yard touchdown pass to Devin Funchess, who did a ‘rock the baby to sleep’ celebration after celebrating the birth of a child earlier this week. 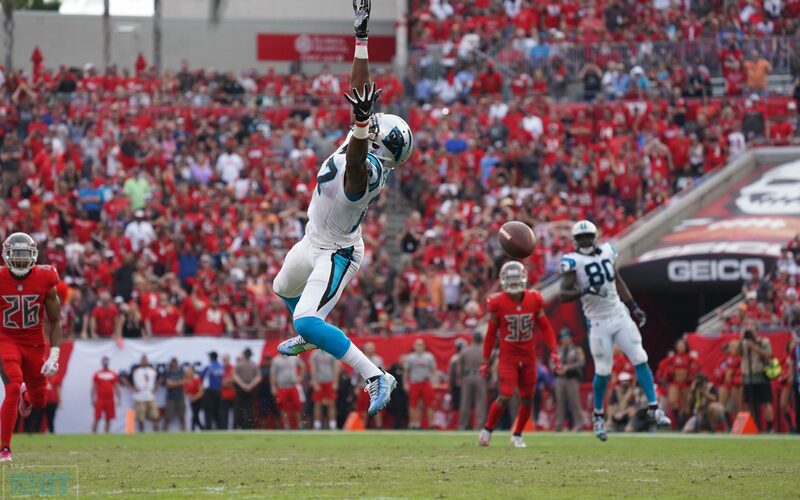 Newton’s third and fourth interception, both to Adams, were caused by Gerald McCoy, who hit the quarterback as he threw it on the third and caused the ball to fall well short of Jarius Wright along the sidelines, directly into the hands of the safety Adams for his second interception of the game – the next drive would end the same way, only this one was intended for Samuel over the middle. Newton would finish 28-of-41 for 300 yards, two touchdowns and the career high in interceptions. The Panthers had two chances down a score in the final four minutes, the first one ended with Newton missing Devin Funchess open down the middle on fourth down after the Panthers got the ball back with 4:07 left – that drive would end at the Tampa Bay 48-yard line. After stopping the Bucs on three straight runs, the Panthers would get the ball back at their own 26-yard line with 1:05 left, but they would use 43 seconds on two passes to pick up nine yards after neither Ian Thomas nor Christian McCaffrey could get out of bounds. The final attempt – which got two tries after the Bucs were offsides on the first throw – would fall short as a Cam Newton Hail Mary didn’t make it to the end zone and backup Taylor Heinicke, whom the Panthers brought in to take a shot to the end zone, had his attempt batted down at the goalline. DT Vernon Butler was a healthy scratch, his first time being inactive since Week 5 of the 2017 season – the 2016 first-round pick had 16 tackles and a fumble recovery over the first 11 games of the season on just over 35% of the snaps. Greg Olsen reinjured his foot early in the second quarter and was carted to the locker room – Olsen missed just over a month with a broken fifth metatarsal earlier this season and it appeared the he rebroke it. The Panthers picked up their pass rush after failing to get to the quarterback effectively during their previous three games. The Panthers only had four sacks over their previous three-game losing streak, but had four today in Tampa, including one from Efe Obada, his first since he won NFC Defensive Player of the Week in Week 3. Trai Turner suffered a neck injury and was replaced for the second half by top interior lineman backup Tyler Larsen for the second half. Curtis Samuel set his career high for receiving yards with six catches for 88 yards on 11 targets. The Bucs came into the game without their top three cornerbacks and their starting right tackle due to injury.